Layla Remington – LA District Attorney Deputy Detective Investigator. During a raging forest fire, 13 apes at a Hollywood Animal Sanctuary are found shot to death. One Ape survives. 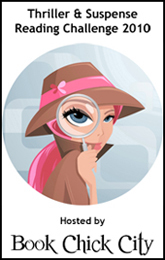 Layla Remington is assigned to investigate. She will find herself drawn deep into a mystery, as people connected to the sanctuary begin to be killed by Ape attacks. I had mixed feelings regarding this book. I was torn between the plot and the characterization. The plot I found very interesting. The storyline was consistent, the events seemed realistic, and nothing jumped out at me as being off base. So based on the plot alone, I really liked this book. It was exciting and kept me reading from page 1. Now the characterization is where I had problems with the book. While the characters were somewhat 3 dimensional, their behaviors didn’t strike me as realistic. One example is the character of Layla. She would just seem to get angry all at once with no build up, and no clear reason on why. It seems the author did that with a few of the female characters. It seems as if it was intended to make the characters seem tough and hard edged, but as the reader, to me it just seemed to stretch a bit. The male characters didn’t seem to strike me like this. However, that drawback aside, I still found myself enjoying the book. 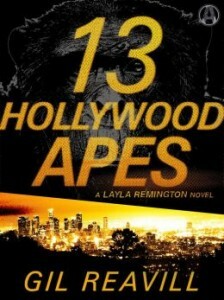 I’d definitely read more in the Layla Remington series to see how the character grows, and how the author grows. For this, I’d recommend it for older audiences and for those fans of thrillers. 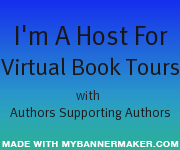 I’d be interested in seeing the opinions of others out there, so if you read it, drop by and let us know what you thought. A very interesting side note to this story. On December 21st, news broke that an Argentinian Court had given Sandra, a Sumatran Orangutan the classification of a non human person, and declared that she has rights and will no longer be held captive in a zoo. This follows similar rulings in which Dolphins were declared non human persons by the government of India. 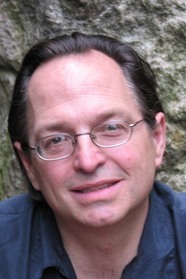 Gil Reavill is an author, screenwriter, and playwright. 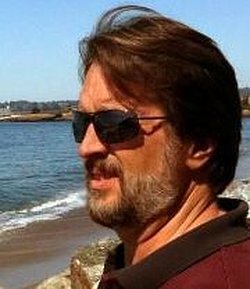 Widely featured in magazines, Reavill is the author of Aftermath, Inc.: Cleaning Up After CSI Goes Home, and the co-author of Beyond All Reason: My Life with Susan Smith and the screenplay that became the 2005 film Dirty, starring Cuba Gooding, Jr. He lives in Westchester County, New York, with his wife, Jean Zimmerman, and their daughter. Vic Walters – Hit Man for Hire. Penny Randall – Vic’s friend and job coordinator. A hit man finds that someone is arriving at his jobs before he does. When he discovers who the mysterious second gunman is, he’s pulled into a web of lies that will require all his skills to untangle. This was a fast paced, interesting story. My one complaint is that it ended too soon. I was really enjoying the story and the characters. Luckily for me, the author has said that they will be back in a future book. The characters were well developed and felt like real people, well real people who work at killing other people. But everyone has to have some kind of skills. The plot was well laid out and by the end of the story, all the pieces fit properly together. One slight drawback is that one of the big twists may have been telegraphed a little too much, and at least to me didn’t come as the big shock that I think it was intended to be. However, that didn’t detract from the overall enjoyment of the book. The book is definitely for older teens and adults due to the violent tone of the book as well as some strong language. Overall though, it was a very enjoyable story that I look forward to following up in future books. 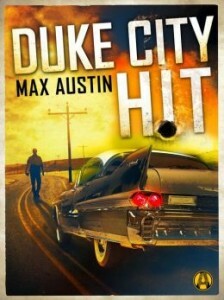 Max Austin is the pseudonym of writer Steve Brewer. He lives in Duke City (Albuquerque), New Mexico.